I am a romanticist. I write about the incredible power of love and how it can change someone's history. The wedding theme has surrounded me throughout October. Last Wednesday, a couple who'd been married for seventy-two years, died only an hour apart. The story hit the media in full force and many posted it all over their Facebook and Twitter feeds. If only writers could be as steadfast as that marriage? Your work is truly unique and don't use others poor judgments as an excuse not to show the world what you are capable of. 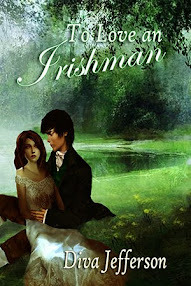 -I received the 2nd-round edits for To Love An Irishman. I am currently working diligently on those. -www.youtube.com has asked me to create a revenue account. They will place ads on my video blogs and I will receive a percentage of the income. So, therefore, I am in the process of creating several video blogs to post a month (probably once a week) so viewers will be able to tune in regularly to my updates. If there is anything you'd like me to talk about or if you have any questions, I will start a live Q&A session where I answer your questions in a video.